Entrepreneurship is like jumping off a cliff and trying to build an airplane on the way down: starting up and managing my own business required life-changing discipline and intense dedication. Ten years ago in Beirut, I jumped off a cliff and started up what has become an F&B group responsible for several successful ventures. The restaurants, bars, and coffee shops we created and managed in Lebanon have become well known brands and profitable businesses for our investors. With two branches of my French bistro Couqley operating profitably for six years, three renowned bars developed in the past decade, and a solid management structure, I felt that the time was right to expand! I moved to Dubai in 2014 to expand my enterprises, and to begin a new journey in a wonderful and stable city full of economic growth potential. Along came with me a supportive wife, two amazing kids, 10 years of entrepreneurial experience, business management know-how, and established F&B brands itching for new markets. My first venue in the UAE recently launched in June 2015, after more than a year of demanding work. 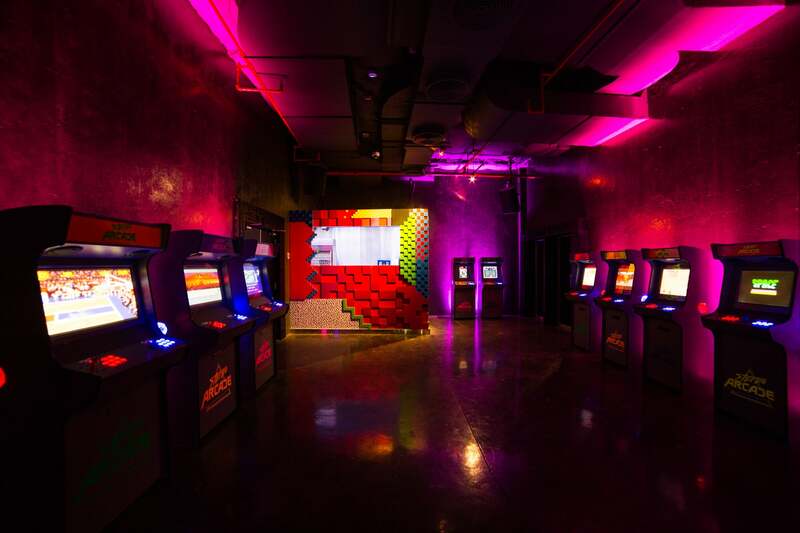 Stereo Arcade, situated in the DoubleTree by Hilton Hotel on JBR, is a F&B establishment with a unique concept consisting of three venues under one roof: a retro nightclub, a live rock pub, and a video arcade. The concept is a testament to what we term ‘future-retro’- mixing the old with the new, banking on the nostalgia of our target market. The second establishment soon to be launched is my French bistro, Couqley. The first of several planned branches is currently under construction at the Movenpick Hotel in JLT, Dubai with the expected launch in early 2016. Moving to the UAE and expanding my own businesses in Dubai is unquestionably different than moving to be employed by a company. 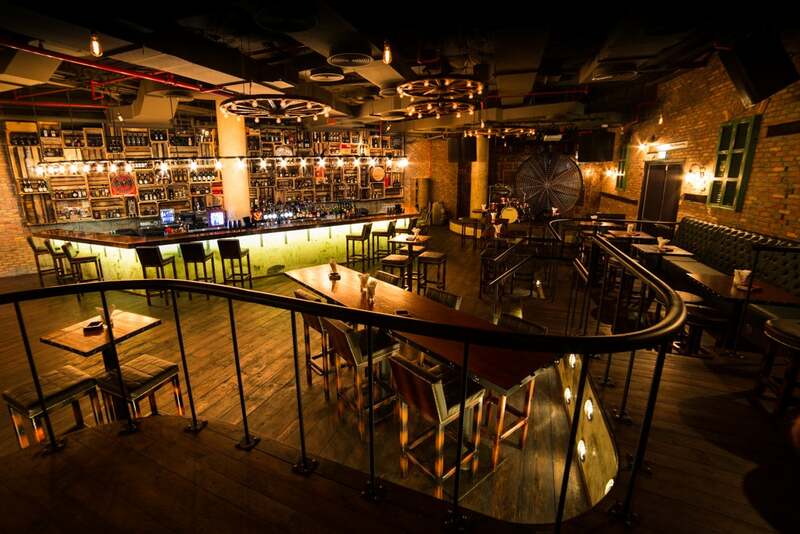 Stereo Arcade - The Pub, Dubai. Image credit: Stereo Arcade. With a visionary leadership and pro-entrepreneurial government, the UAE is renowned worldwide for being business-friendly. It’s a modern global hub for multinational firms with a strong logistics infrastructure and high connectivity. With that said, it can also be an intimidating place for an entrepreneur. I. Dubai is notably unique in the fact that it provides distinctive challenges for non-Emirati business owners. For example, onshore companies (LLCs) mandate that at least 51% of the shareholders are Emirati nationals. Finding, selecting and signing on a local partner who you have met for five minutes (aka a local sponsor) can be quite nerveracking and a potentially risky undertaking. II. You have to decide what is best for your company from an assortment of different corporate zones; each zone with its own set of company classification, trade licenses and internal rules. There are different varieties of onshore companies, free zone companies, and offshore companies. Free zone companies can be fully owned by non-Emiratis, however deciding which of the free zones is best for your business is not always straightforward. Entrepreneurs must make a choice based on what’s best for their business model, and sometimes there isn’t just one correct choice. Some business models require comprehensive corporate structures consisting of several interconnected legal entities in order to operate with flexibility and to provision for a growth strategy. I have had to incorporate offshore, onshore, and free zone companies for my expansion needs. Assessing the implications of the available options and determining the corporate structure best suited right for your UAE business is a crucial first step. There are legal counsels who provide professional knowledge and help manage the processes, thus shortening the learning curve, however entrepreneurial due diligence, involvement, and understanding is irreplaceable. Dubai is a multicultural city home to 2.17 million people from 202 nationalities. It is imperative to have a firm understanding of the cultural and geographic demographics of the city before expanding your business. In order to effectively segment and identify my target market, I spent plenty of time in the city beforehand to gain local knowledge through observation, and from speaking to people who have lived here for substantial periods of time to understand the city’s multicultural implications, and what they meant for my business. Getting this right the first time around is vital to the success of your business. It will determine the degree of adaptation that your concept requires in order to satisfy your target market– and your investors. I. The more staff required, the larger (and costlier) the office that needs to be leased. II. Each visa is an investment since official fees and deposits are fully paid in advance for each 2-3 year residency. III. If the employee you want to hire doesn’t already live in Dubai, which is usually the case, the company will have to pay for the airfare. IV. There are no refunds for terminations. If you find out the wrong person has been hired for the job and you decide to terminate the employment, visa fees and airfare are not retrievable. V. In some industries, after a certain number of employees are hired, you are obliged to provide company-leased-accommodation and transportation for staff. Stereo Arcade's main entrance with a video arcade. Image credit: Stereo Arcade. Very few entrepreneurs succeed alone and selecting the right business partner is extremely challenging. Like a shotgun wedding in Vegas, it is easy to get caught up in the romanticism of starting a new company. The harsh reality is that your business partner can make you or break you, and finding the right partner may be one of the most critical decisions you will ever make. You need to find someone who shares the same vision, the same drive, and who compensates for your weaknesses and who amplifies your strengths. Choose a partner with the personal and professional qualities you value. Although not mandatory, a partner who has lived in your target city can provide the local knowledge and shorten your learning curve. Early mistakes can be very costly (and may even cost you the business), so choose wisely and keep emotions out of the decision making process. I will discuss the relationship with my co-founder, Samer Hamadeh, in a future article. His support, acumen and genuine passion for our business made all of the difference, in addition to his existing network and knowledge from having been based in the UAE for years. He’s also executed a number of entrepreneurial endeavors prior to our partnership- so he knows firsthand what and whom it takes to make a business great. Moving to the fast-paced city of Dubai to expand my own business was an exciting and overwhelming experience. Moving my wife and kids added layers of challenges, adventures and fun. Months of planning and copious amounts of energy and patience were required to finally settle into the new city. Dubai is not a city for slackers! Be prepared to get residency visas for the family, find and rent a home, apply and register the kids in schools months in advance, open bank accounts, get car loans, subscribe for phone lines, Internet and cable TV, furnish your new home, get medical insurance, guarantee the cost of the move, calculate the new cost of living, and obtain driving licenses. To illustrate just the last point, if you are not lucky to be from a country where you can simply transfer your existing driving license, be prepared to take the driving exam as a beginner, with a mandatory number of driving hours. The process ate up hours of precious entrepreneurial time and took two months, despite the fact that I have been driving for 20 years. It’s a good thing that Dubai has an abundance of taxis and modern, functioning public transportation. Aegis Hospitality is an F&B management company based in Dubai, UAE. The company’s first venture, Stereo Arcade, was launched at the DoubleTree by Hilton on JBR in July of this year. 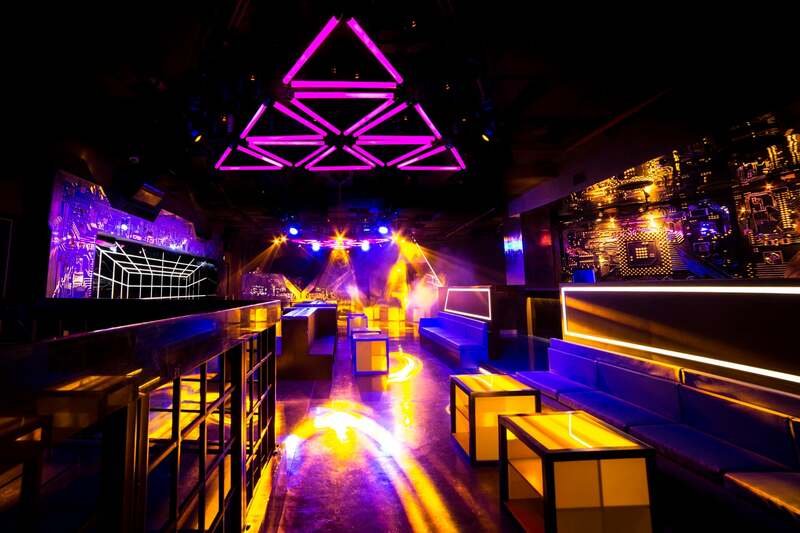 The concept consists of two nightlife venues (a retro nightclub and a live rock bar), and a video arcade under one roof. Ziad Kamel is a co-founder and Managing Partner at Aegis Hospitality. He is also a co-founder of The Alleyway Group in Lebanon and served as its CEO for 10 years, creating and managing over eight concepts including Couq- ley, a renowned French bistro and The Angry Monkey, a live rock bar. Kamel is the elected Secretary General and member of the board of directors of the Syndicate of Owners of Restaurants, Cafes, Nightclubs and Patisseries in Lebanon. Samer Hamadeh is a co-founder and Managing Partner at Aegis Hospitality. Hamadeh began his entrepreneurial life in 2005 when he founded Chillout|Corporate, a joint venture with Chillout Productions. He is also the founder of Brightside Ventures, a technology and innovation company based in Dubai. In 2009, he launched his first hospitality concept, OneOnOne, at the Monarch Hotel Dubai. Following the success of the venue he created and opened his first nightclub, Republique, which he successfully operated for two years.